Find out where wetlands exist near your home and get to know them. Here is information on some of the wetlands on conservancy property in our service area with public access for you to enjoy. Please be sure to check out the guidelines for the specific parks and preserves. Please enjoy: Hiking, birdwatching, cross-country skiing, snowshoeing, fishing, and similar low-impact activities. Please refrain from: Snowmobiling, camping, fires, dumping or littering, removal of vegetation, off-road vehicles. Hunting is allowed only on designated preserves and with written permission only. Contact the Conservancy office at (231) 347-0991 for more information or to receive a permission form. 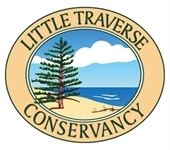 Click here for more information about the Little Traverse Conservancy Nature Preserves. Please note that hunting is only allowed on designated Preserves. The WLTC prohibits off-road vehicles, snowmobiles, camping, fires, removal of vegetation, littering and dumping on its Preserves. Click here for a more information about the Walloon Lake Trust and Conservancy Preserves. 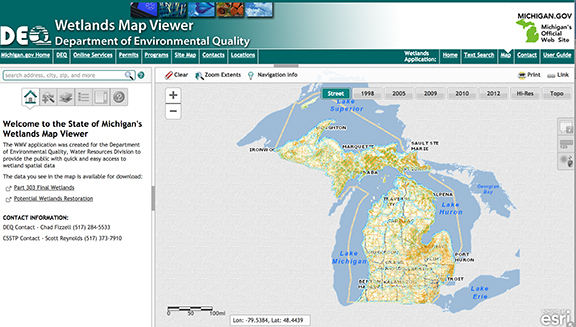 To find additional wetlands, use the Michigan Department of Environmental Quality Wetlands Map Viewer http://www.mcgi.state.mi.us/wetlands/. The purpose of this application is to provide the public with quick and easy access to wetland spatial data and you can find wetland map data through a text search or map search. To find wetlands on public accessible lands, go to map search and click on layers. Turn on the wetland inventory and "conservation and recreational lands" layers.